What about Mommy's is a magazine published for women of all different walks in life. We are purposely misspelled because we are not your "typical" mommy group. We focus on the needs of mommy. Our topics embodies health, fashion, beauty, fitness & lifestyle. We also share tips on relationships, how to adapt a positive self-esteem, and spirituality. 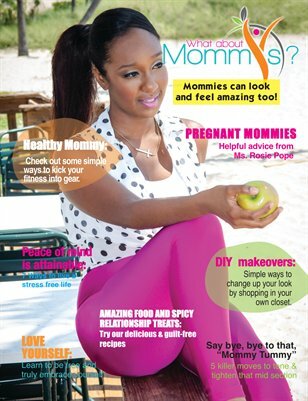 In this issue mommy celebrity Rosie Pope from the well-renowned TV show Pregnant in Heels, gives our pregnant mommies the 411. Mommies can look and feel amazing too! Get a copy for yourself, or purchase one for a friend today!